mire, as if a river. This creates surface patterning such as hummocks and hollows. Often, the distribution of hummocks and hollows is not random. They occur as parallel features of pool and ridges which are also known as flarks and strings. Sometimes the hummocks express themselves in a more random fashion. Some suspect that certain types of vegetation (mosses or Carex) or freeze-thaw processes may be a driver behind the development of these randomly occurring hummocks. 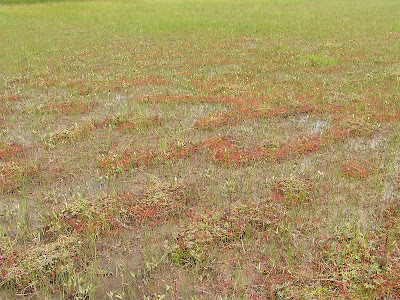 The pools are thought to form when the water table raises above the surface of the mire long enough to kill the underlying vegetation. This creates a situation where peat is no longer being accumulated and, over time, essentially results in a 'hole' where pools occur. I have observed pools in places where concentrated, upwelling groundwater occurs...the constant flow of water restricting who can successfully plant their feet. Lawns are flat, monotypic swaths of sedge (Carex) with little or no hummocks. Each of these features result in very different floristic expressions. When we pull our observations back to a larger scale, we notice something very conspicuous: all of these features are contained within a large, well-defined area of wet ground. The aapa mire is the macro-scale name for all these things--hummocks, hollows, pools, and lawns (or the plant communities associated with those features)--when they occur together. Aapa mires, as conceived in Finland, are a common wetland type in the boreal zone. Many occur in Canada; very few in the U.S. Our fens, or mires, simply are not large enough to express all of the features found in Finnish aapa mires. 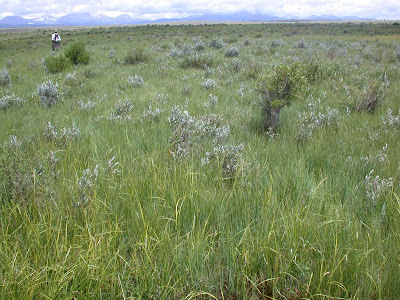 I have seen elements of aapa mires in some large fens in Colorado and am looking forward to searching for them here in Washington. Rarely have I seen hummocks, hollows, pools, and lawns in a single fen but these are, individually, common features of Southern Rocky Mountain mires. However, there is a particular place located in South Park, Colorado which contains them all. I'll be sharing my thoughts on this place in a future post. 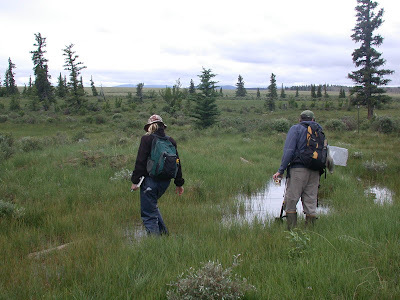 One other small fact about the aapa mire (or fen, bog, or any term you want to apply to a peat accumulating wetland), it is, to borrow a term made famous here in the Pacific Northwest, an "old growth" wetland. Most aapa mires started forming at the end of the last ice age. They are old--very old. They harbor unique plant and animals, many of which are hanging on from an era long ago. As such they deserve an extra watchful eye focused on their proper care and protection. Once gone, we can't replace them--at least not in our lifetime.